Deleter News | World - Sports - Politics | NBA news: Kawhi Leonard to Lakers prediction, LeBron James claim, Jimmy Butler to move? NBA news: Kawhi Leonard to Lakers prediction, LeBron James claim, Jimmy Butler to move? Kawhi Leonard to stay in Toronto? 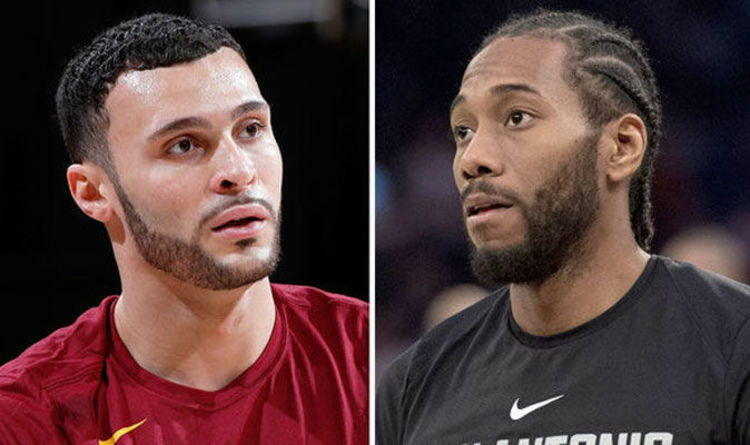 The Toronto Raptors have a great chance of keeping Kawhi Leonard past next summer, Cleveland Cavaliers star Larry Nance Jr claims. The San Antonio Spurs traded Leonard and Danny Green to the Raptors for DeMar DeRozan, Jakob Poeltl and a protected first-round pick. However, Leonard has a player option in his contract, meaning he can become a free agent next summer, with the Los Angeles Lakers and the Clippers linked. And Nance Jr reckons the Raptors have a real chance of keeping Leonard in Toronto for the long term, similar to the Oklahoma City Thunder persuading Paul George to stay this summer. “Toronto has enough to make him stay, it’s a beautiful city and they love their basketball out there,” Nance Jr exclusively told Express Sport. “The organisation will do the best they can and the fans will embrace him, he’s already one of theirs. “We saw it with Paul George, he said he wanted to be Laker, but come free agency, he loved Oklahoma City so he re-signed. Golden State Warriors star Draymond Green says he’s excited by LeBron James’ move to the Los Angeles Lakers. "That is great," Green told The Undefeated, when asked about James’ move to Lakers. "He was able to make a decision he wanted to make regardless of whatever anyone thought. "To see someone make that kind of decision is always exciting to see." Jimmy Butler to the Lakers? Minnesota Timberwolves guard Jimmy Butler could be on his way to the Lakers, Bleacher Report’s Sean Highkin claims. He wrote: “It’s no secret that the Los Angeles Lakers, with LeBron James on board, are looking for a second star. “With a cadre of young players to include in a trade, they could put together a solid package without mortgaging their future.